The mandatory entry fields are marked in bold and with (*). Technical note: The very special entry of arrears is only for supervisors; no other fields then need entry. 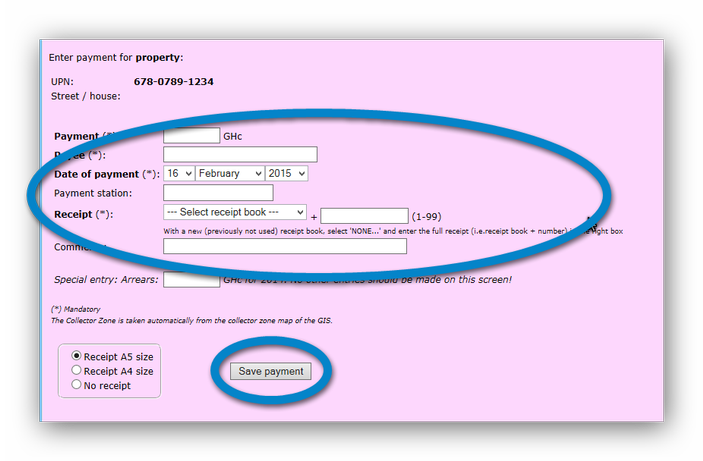 If you request a receipt from the system, select the size option, or choose 'No receipt'. The receipt will be saved as a PDF file in folder 'Receipts'.